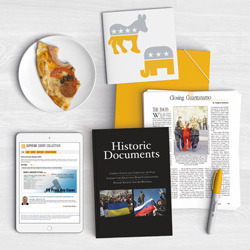 CQ Press provides the definitive reference resources for research in American government, politics, history, public policy, and current affairs. A wealth of CQ Press resources and years of journalistic and editorial expertise are combined in this indispensable reference collection. These reference products offer researchers—whether students, scholars, professionals, or interested citizens—a range of tools for discovering and understanding CQ Press's authoritative content. Want to see CQ Press Library in action? Request a free trial!